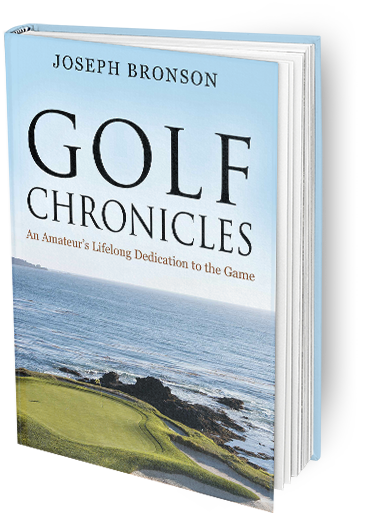 Golf Chronicles was written out of the passion for the game and to raise funds to support university golf programs, The First Tee and other youth organizations that support golf in the community. 100% of the proceeds go to these programs. Through the Green covers a number of special golf venues from Pebble Beach, Bandon Dunes, Ireland as well as the 2017 PGA Tour major championship. The book concludes with a fictional short story about a retired executive who attempts to win a USGA major championship. 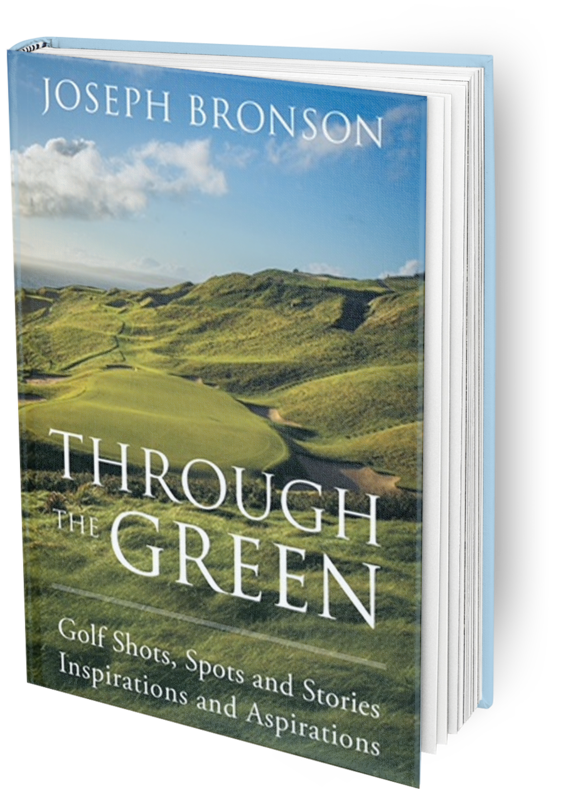 If you’re a golfer, you’ll love these books for author Joseph Bronson’s passionate description of the game. He is meticulous in his detailing of the philosophical nature of golf and his insights into major world competitions. His descriptions of the variety of courses he himself has played are entertaining and inspiring. You will want to book your next tee time as you experience his descriptions of some of the greatest courses in the world. For the golf widow or widower, the books will help you understand why your loved one spends so much time on the course. Through the Green also extends the reach with a complete discussion on golf driving ranges and practice areas are over the world. This game is about so much more than hitting a ball around acres of neatly trimmed grass. The dedication required to improve your performance is the same as that which any goal in life requires. The books are multicultural as the world itself and also a microcosm of life. Expansive and intimate, this game has something for each part of us and for all of us together. and other youth organizations that support golf in the community. 100% of the proceeds go to these programs. Joe Bronson leveraged his successful business career that enabled his ability to play golf all over the world and he was also lucky enough to be the only golfer in the executive suite. Joe is a member of Monterrey Peninsula Country Club in Pebble Beach, California and Cordevalle Golf Club in San Martin, California. He previously held membership in Mannings Heath Golf Club in West Sussex, England. He has played 87 of the top 100 courses in the United States and has played in England, Scotland, Portugal, Spain, Italy, Ireland, France, Japan, Malaysia, Singapore, China, Taiwan, Hong Kong, Australia, New Zealand and even Israel. He is determined to get better and has been taking lessons for the last three years. He routinely publishes his blog covering PGA, LPGA or amateur events and lively topics of the day in the world of golf. His intention is to give the reader insights that you would never experience in the media or the golf publication.